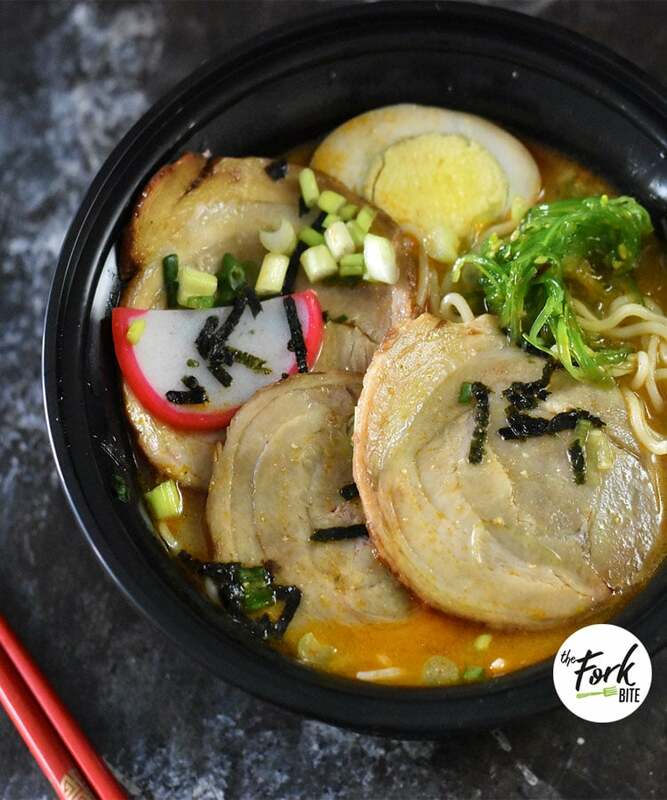 It’s exciting to make Japanese Rolled Chashu or Braised Pork Belly in an Instant Pot and serve it with ramen. When done it right, this sweet-savory Chashu will melt in your mouth, adding more punch of flavor to your ramen. Instead of fried or grilled pork, the meat in this recipe is cooked in a soy sauce base and tastes like braised pork. Instead of using lean pork, Japanese pork Chashu is made with pork belly and a soy sauce base. The fat serves two purposes. It adds flavor to the recipe and keeps the meat from drying out when it is cooking. There’s a smooth move to making it work. Use the tenderizing heat of the Instant Pot crockpot. I know it looks like a challenge to roll the meat up and tie it firmly, but you’ll get the hang of it so quickly, you’ll feel like a pro in no time! 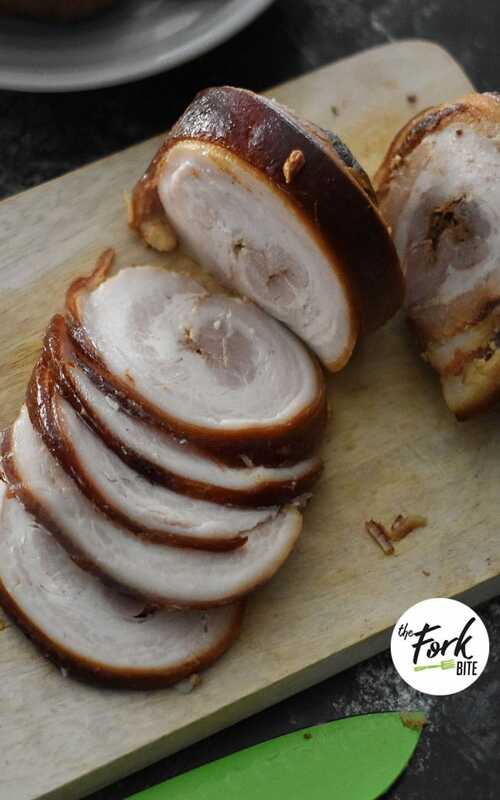 Putting the pork in a roll protects the meat inside by keeping it juicy. Why not make two rolls? There’s plenty of room inside the pot. Some recipes call for a slab of meat. In fact, you’ll see restaurants using a slab instead of a roll because it takes less time. The disadvantage is the loss of flavor. Even though your pork roll is smaller and takes a bit longer to cook, it is worth the wait! Just visit the nearest Asian grocery store to get a pre-cut one to take home and make. Prepare Chashu using lower heat to get a tender, savory piece of meat that melts in your mouth. Never use the Instant Pot to sear the meat. The soy broth releases sugar that causes the skin to stick to the sides of the pot. Roll the pork belly up, leaving the skin side facing out. 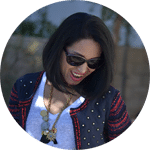 Tie it up with butcher twine, starting at the center. Leave a two-inch tail and wrap the long part of the twine around the roll securely. Tie it off with a double knot. 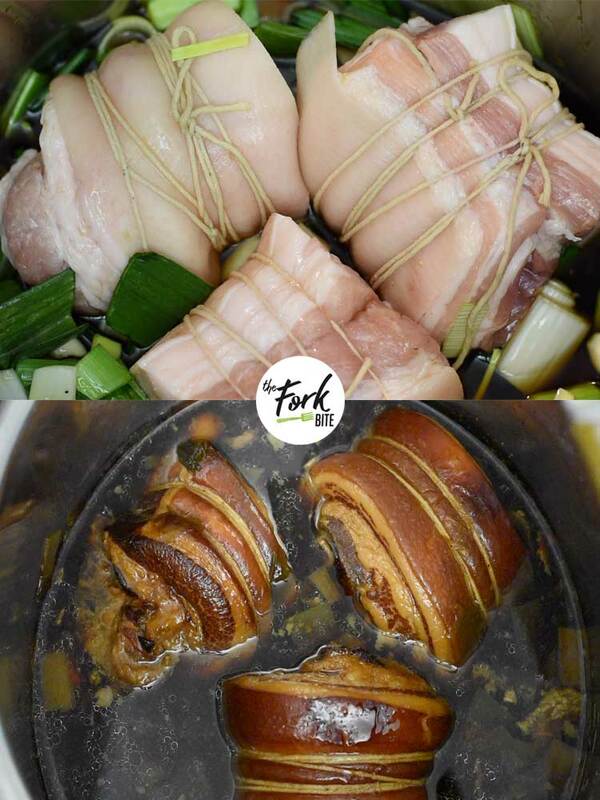 In Asian cooking, blanching the pork is a common technique to take away impurities and excess fat from the meat, thus this will help you get a cleaner taste of the soy-based sauce. 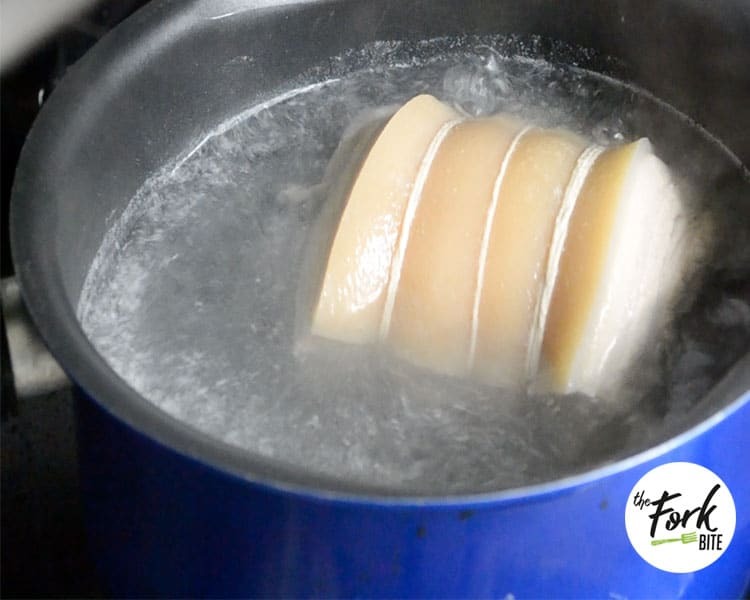 So try blanching the pork for 10 minutes in a pot of boiling water to eliminate gaminess, excess fat, and impurities. This step keeps the soy sauce fresh and saves money by letting you use the sauce again. Now it’s time to move the pork roll to the pressure cooker. Add the water, soy sauce, and other ingredients and put the lid on. Cook on high pressure for 90 minutes. Let the pressure off with a slow release. Do not open for 20 minutes. Once the sauce and meat cool, put it into a large zip bag and refrigerate overnight. Remove the fat from the top of the sauce when you take the bag from the refrigerator. 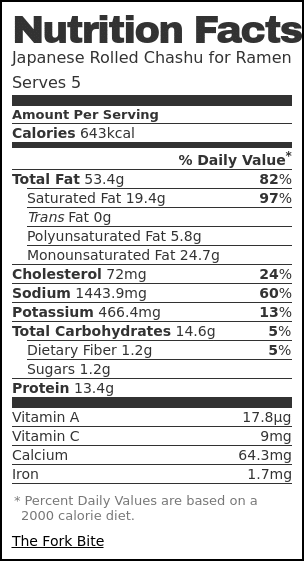 Replace the marinated soy sauce in the bag. Seal the bag and freeze it to use again. Put the pork roll on a cutting board. Snip and remove the twine. Cut the pork into thin slices and place them into the heated soup broth for warming. 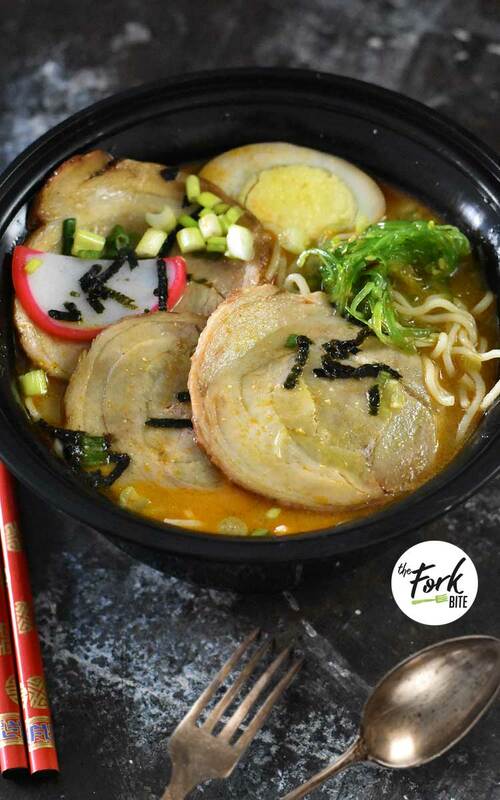 Pour the broth over a bowl of ramen noodles, topped with two or three slices of Chasu Pork or Braised Pork Belly towards the edge of part of the bowl. Add half a boiled egg to one side and scallions on the other for extra flavor and appeal. 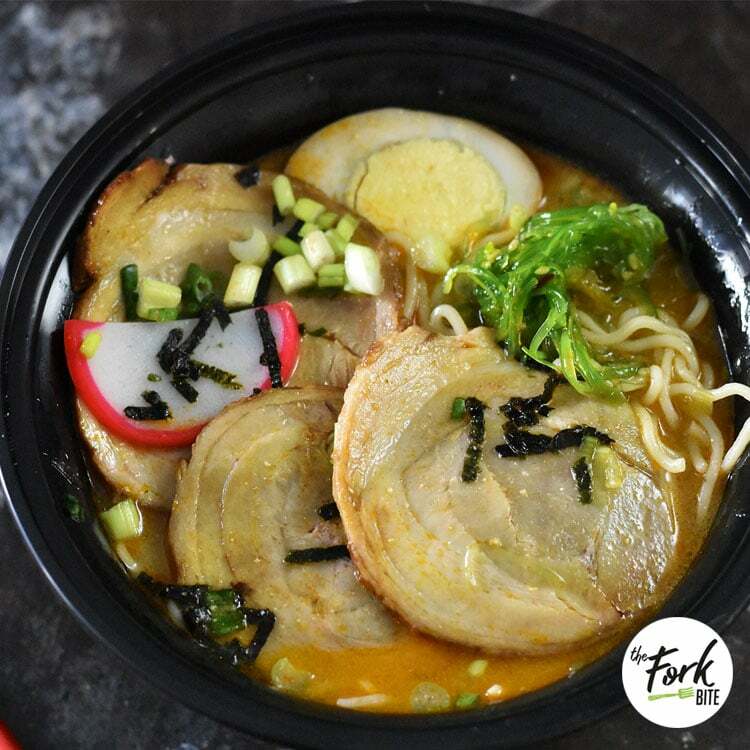 This Chasu Pork has the sweet-savory skin that will melt in your mouth and this succulent meat will fall apart with the slightest bite, adding a punch of flavor to the ramen noodles soup. Roll up the pork belly with the skin side out. Run some butcher twine under the middle of the pork. If your pork belly is long and wide, start under the far end instead of the middle. Tie a double knot to secure the pork tightly. Leave the short end about 2 inches long. Pull the long end to wrap around the pork belly and tie another double knot. In a pot of boiling water, blanch the pork belly for about 10 minutes. Transfer the pork to a pressure cooker. Add soy sauce, leek, ginger, water, sake, garlic, and mirin. Cover with the lid and cook for 90 minutes on high pressure. Do a slow release and, after 20 minutes, open the lid. (Read Notes section). Heat a skillet over medium-high heat and sear all sides of the pork until it's golden brown. DO NOT use Instant Pot for searing because the skin would stick to the pan and get riped off. Once the pork is cooled down, transfer the meat and sauce to a large sealed container or a zip-top bag. Put it in the refrigerator overnight or until it's completely cool. This way the pork is easier to slice thinly after cooling, and this also gives the pork more flavor. When it's ready to serve, skim off the fatty oil on the surface. Transfer the pork to a cutting board and strain the sauce. Reserve the sauce for marinating soft-boiled eggs or for making more pork belly. Take out the butcher twine. Cut the meat thinly using a very sharp knife. Reheat the slices in soup broth or heat it in a saucepan with the sauce until hot. If the pork is not submerged in the sauce, cook for 40 minutes and flip it over and cook for another 40 minutes. Ohemgee!!! this cha siu pork is absolutely recommended, it literally melt in your mouth..the ingredients and step by step instructions are spot on. Thank you for sharing. Oh wow, that pork looks so tender and delicious! Yum! 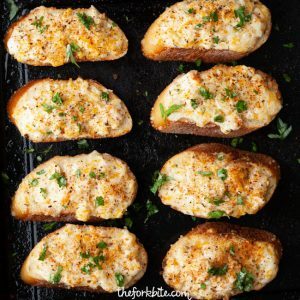 Such a delicious comforting meal! My husband is going to think I was in the kitchen all day when I serve him this japanese chasu pork. He loves pork belly so he will love this meal. pork chashu is literally one of my favorite things ever. I was dreaming about how good it tastes while reading your recipe LOL! 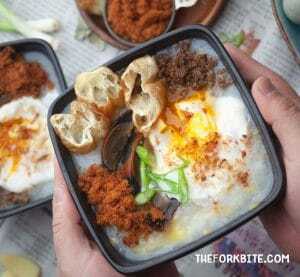 Looks like the perfect dish for cold weather. Hearty and warming. This is exactly my type of meal it looks so yummy and ramen is my favourite. This looks so delicious. I’ve been craving ramen a lot lately and I’ll have to look for pork belly soon. 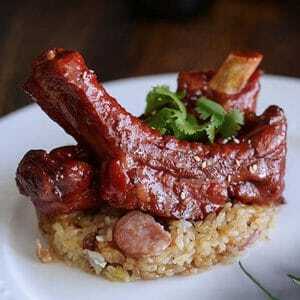 Sounds good and hearty I haven’t had pork in awhile I may have to try this recipe. Oh, my goodness!! This looks really tempting and delicious. I do really love Ramen and this Japanese Rolled Chashu for Ramen recipe makes me feel so hungry. I really want that now. I will absolutely try that recipe. For sure my husband will really love that so much. Looks great. Even though I don’t eat pork, I want to give it a try with chicken. What an interesting recipe! This would definitely be something off the beaten path for me to make, but I’m sure my family would love it! Love how you clicked such beautiful pictures to support the recipe..i am a vegetarian but i think meat kovers will enjoy your recipe! 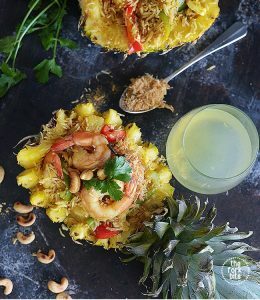 This sounds so delicious and healthy recipe! Your presentation looks great too, I will try this recipe. That looks like a good soup there. That pork must be so tender. Yummy. You have a good eye for food photography. I really loved your images. Me being vegetarian cannot say much on your recipe but I am sure other friends would certainly love your treat. I’m vegan, so I can’t speak much to the recipe. However, it is very detailed and I’m sure anyone making it will be able to easily follow along. This sounds like such a delicious dish packed full of flavour. 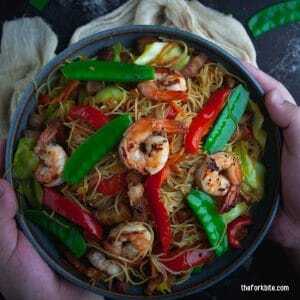 I love ramen so I might have to try making one at home! This sounds delish & I don’t even like pork. May have to try the blanching technique–that could make all the difference. Thanks! Pork is a huge favourite in this house. I love to cook it for the family, but have never tried it like this. I think I may have to give your recipe a go. It looks delicious! This sounds like an absolutely wonderful and delicious recipe! I’ll have to make it for my family…. I’m sure they will totally love this! I have an instant pot but we never use it!! I don’t know why I’m scared to use it – haha! Do you have any tips for me to get over that? This sounds so delicious! I will have to give this a shot, thank you so much for sharing. Looks amazing and deliscious! I am def gonna try this! This meal will be great around this season. I never had pork with my ramen I always have chicken with it, but now I am going to change it up just because your recipe inspired me. My mouth is drooling! Thanks for sharing this recipe, it sounds delicious. Japan is at the very top of my Travel Bucket List… So eating more home cooked Japanese Food would make my day! You had me at pork belly! My husband loves this and it’s always his go to order when we go out. I have never tried making it at home though, so I will have to try this recipe. Love how you can actually use this for marinating eggs. Sounds like such a great combination of flavors with the ginger in this. This recipe looks so tempting. It hits the spot for these cold months. Wow. This looks seriously amazing. I always order ramen with this pork when I’m at my favorite ramen restaurant. So happy to know how to make it now. YUM!